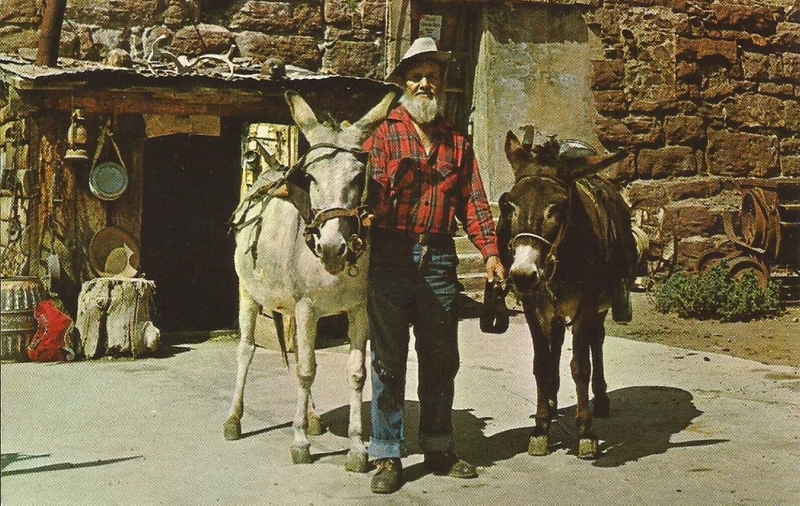 Burros were the constant companions to the old prospectors of the west. 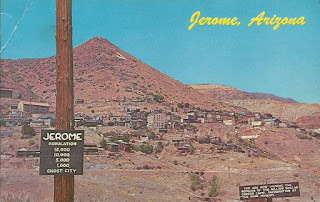 This trio entertain the visitors at Jerome, Arizona, America's largest Ghost City. 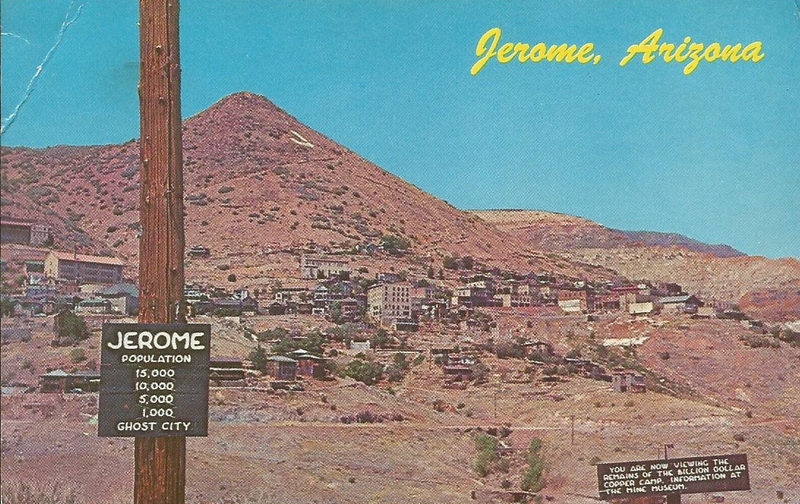 Rapidly becoming one of Arizona's ghost towns, Jerome, of Copper mining fame, is slowly sliding down the mountainside which is honeycombed with mines. 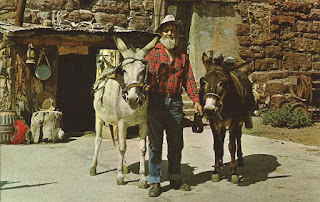 In the distance the red walls of Oak Creek Canyon and bejond to snowcaped San Francisco Peaks 50 miles away. 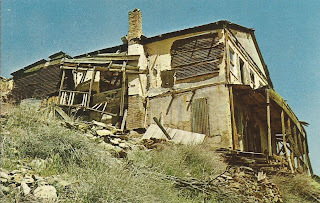 Ghost House - Jerome, Ariz. 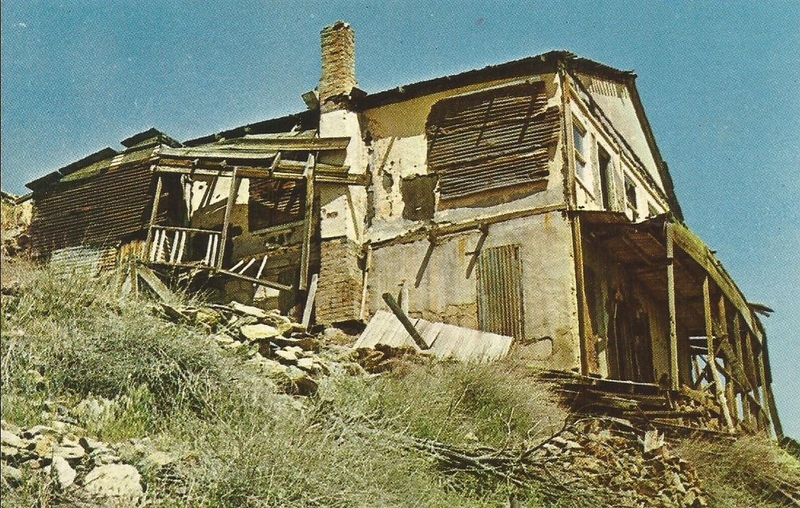 When the mines closed the people left their homes and Jerome, so did Manuel Ariaga.